Are you ready to rock at Summerfest 2012 this summer? If you are, then go no further than the Iron Maiden with Alice Cooper show at the Marcus Amphitheater on July 4th. Legendary rockers Iron Maiden and Alice Cooper can certainly be relied on to put on a loud, high energy, theatrical show. It's hard to consider Alice Cooper an "opening act" since he has achieved the same superstardom status as Iron Maiden. Get your Iron Maiden Summerfest tickets today to ensure that you won't miss this awesome show. In case you're hoping to sit as close to the stage as possible, the Iron Maiden and Alice Cooper Marcus Amphitheater concert will indeed have a pit. The pit is located in front of the middle section in the red seats, Section 2. There are no physical seats in the pit and the pit is about 4 rows in front of Section 2. If you're standing in the pit, you are as close to the Marcus Amphitheater stage as humanly possible. If you're someone that needs a chair, I wouldn't recommend getting seats in the pit. On the other hand, this is the type of show where I can't imagine anyone in the audience will spend any time sitting in their chairs at all. If close proximity to the stage isn't your thing, you might want to look for seats in the yellow section. 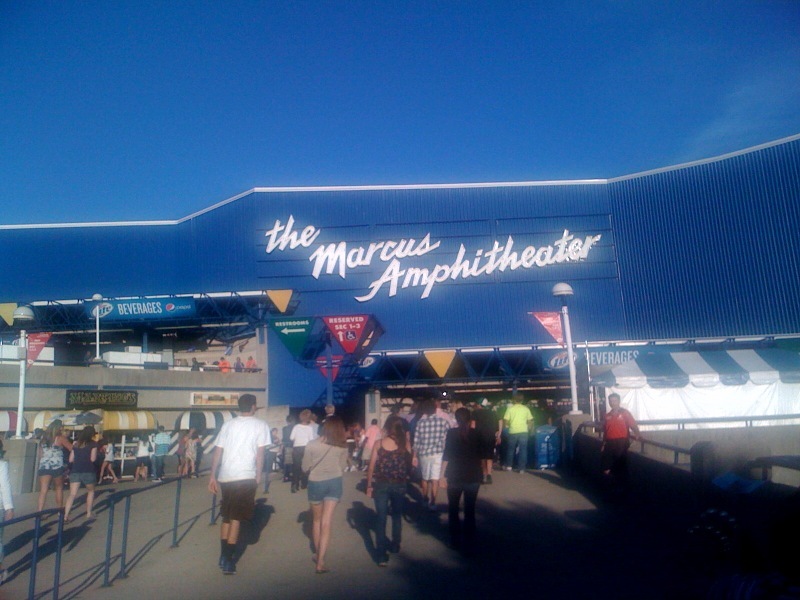 Seats in the yellow section are under the roof of the Marcus Amphitheater, so if it rains you're still protected! I will say that I've sat everywhere at the Marcus Amphitheater and there is not a bad seat in the house!